Dogs eat burritos, camels smoke cigarettes, and frogs drink beer. Welcome to the Century of the Consumer. In the 20th century, Americans were romanced by consumer culture, which in turn reflected the changing attitudes, priorities, and values of the country. This book compiles entries on 100 consumer products-ten per decade-that figured prominently in the rise of consumer culture in the United States, telling the story behind the century's most popular products, slogans, and symbols. 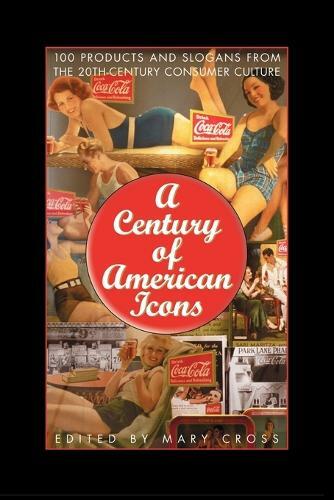 A unique format provides glimpses into American popular culture from each decade in the century. In addition to the history of advertising, economics, and the media, students will learn how perceptions of class, gender, and race were conveyed through advertising-and how those perceptions changed from 1900 to 2000. A-Z entries for each decade include bibliographic information on the product, as well as vivid illustrations showing the visual evolution of advertising icons and strategies throughout the century.